Today, I’m going to share what I believe are the top 10 MLM Companies in Australia. As a freelance writer who has had a couple of clients from Australia, I know that the country has many aspiring entrepreneurs. Many of the people have a “money mindset” knowing that they can create, develop and work hard to attain success and riches. And multilevel marketing is quite popular “down under” for this very reason. We have been doing many posts on the top MLM Companies in various countries and in today’s post, I will give you the top 10 MLM Companies in Australia. Please know that this is my own opinion based on research, but your opinion may differ. That’s cool! If you want to, you can share your opinion in the comment section at the end of this article. Starting at #10 and working up to #1, these are the top MLM Companies in Australia, as I see it. If you want to buy any of their products or possibly start your own home based business, the links to their websites will be in the reference section. 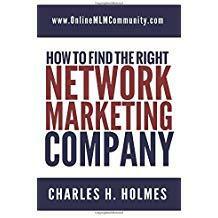 Disclaimer – Neither I, nor Online MLM Community is affiliated with any of these MLM companies. This is for educational purposes and we are not compensated for this by any representatives of any of these companies. Founded in 2002 by Jim and Kathy Coover as well as John Anderson, Isagenix is a health and wellness MLM company based in Gilbert, Arizona. Isagenix quickly expanded worldwide and Australia was a prime location. Isagenix products are focused on weight loss, energy and anti-aging. Avon was founded way back in 1886 by David McConnell. With a huge range of products in cosmetics, perfumes and personal care, Avon is well known throughout the world. The North American headquarters of Avon moved to London, and Avon has many independent representatives in Australia. Based in Idaho Falls, Idaho, the products from this MLM company loved in Australia are based with either Alaskan Salmon or Alaskan Wild Blueberries or both. With a range of products that promote good health and well being, this MLM company continues strong growth in Australia. Seeing many of his fellow Ford Motor employees living unhealthy lifestyles, Jack Fallon decided to found a company that would help them as well as other humans. That was in 1999 that Jack founded Total Life Changes in his basement. Now many years later, Total Life Changes has grown into a huge MLM company and is headquartered in Fair Haven, Michigan. And the wide range of products are found all over the world… Especially in Australia. Amway was founded in 1959 by Jay Van Andel and Richard DeVos. Until 1971, Amway sold their range of products via independent representatives strictly in the United States and Canada. But when international expansion happened, the first choice was Australia. There are many Australian Amway distributors. The range of products is enormous. I know several people have developed huge Amway businesses in Australia and we will continue to see growth in the country. Based in Springville, Utah, Modere was originally known as Neways when it was founded in 1987 by Thomas and Leslie Mower. Mostly involved with health and wellness products, as well as personal care, it seems Modere has gained a huge following down under. I would not be surprised if this company continues to climb up this list. ACN was founded in 1993 and is headquartered in Concord, North Carolina. ACN Pacific serves Australia and New Zealand and has a strong following in these countries. It all started in 2006 with a breast check kit to help women look for possible cancer. Plexus has grown into a renowned MLM company, especially in Australia. Known for the amazing product called Plexus Slim… A nutritional method to lose weight, Plexus Worldwide has many reps in Australia and continues huge growth there. Plexus is headquartered in Neenah, Wisconsin. Jeunesse was started in 2009 and manufactures a high quality line of beauty and anti-aging products. Founded by Randy Ray and Wendy Lewis, Jeunesse is headquartered in Lake Mary, Florida. The beauty line is so well accepted in Australia, that Jeunesse came quite close to being #1 in this post and could easily take the place in the next year. Founded in 1992 by Dr. Myron Wentz, Usana Health Sciences was first designed with superior quality nutritional supplements. Headquartered in Salt Lake City, Utah, Usana quickly gained fame around the world. Australians loved the products so much that it grew huge in the country. USANA strongly holds first place in Australia and it may be difficult to take them out. There you have my opinion of the top 10 MLM Companies in Australia. Do you agree? If not, please tell us your opinion in the comment area below. If you would like to try any of the products or start a home based MLM business, the links to their websites are in the reference section. Thank you for visiting and please share this post with your social friends. I agree with you that USANA Health Sciences has the best products in their niche. They are pharmaceutical grade and independently rated no. 1 worldwide in the cellular nutrition market. However I’m curious why you believe they are the number one MLM company in Australia, as a lot of people still struggle to make money with them, can you explain why?